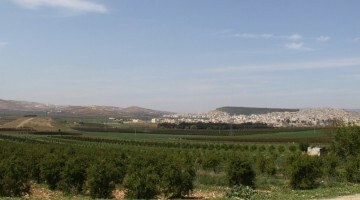 Self-defense is one of the pillars of the Democratic Autonomous Government in Northern Syria. 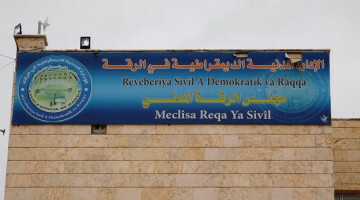 The peoples of Northern Syria have organized themselves under the roof of the Democratic Autonomous Government. Part of the self-governance is the self-defense of society. As the war in Syria raged, the peoples of Northern Syria trained and created local popular militias to carry out the defense of their cities, villages, achievements. Thus, the Syrian Democratic Forces (SDF), YPG/YPJ (People's and Women’s Defense Units), Public Security Forces, as well as the Social Defense Forces (HPC) were established. The HPC, organized in communes and assemblies together with the Rojava revolution, has declared itself as an independent institution since 2015. Serêkaniyê was targeted by the invaders and mercenaries that are now occupying Afrin, because of its culture and many colours and identities. Hundreds of people have lost their lives because of the mines laid on the border by the invading Turkish state. That's why HPC was established, to defend the city. HPC members voluntarily defend their neighbourhood during the day, while they patrol and defend the roads during the night. 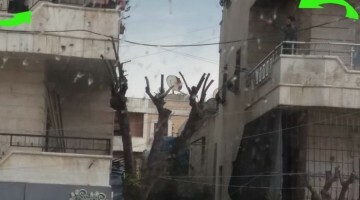 HPC member Şikri Casim Hisên, from the Mihetê neighbourhood in Serêkaniyê, told ANHA that they are the children of these lands and that they are ready to do whatever they can to defend them. "We are ready to defend our people. If we do not defend our society, who will come and defend us? The important thing is to defend our society and our city. That is why every household should have a HPC member. We must support our unity to defend ourselves". 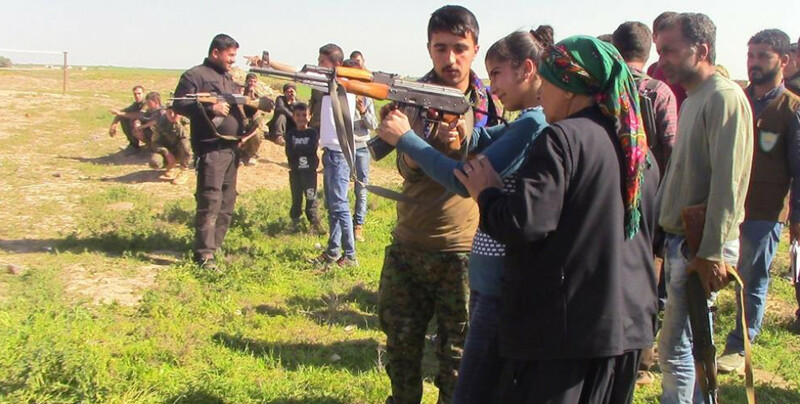 Mehmet Hesen, a 35-year-old HPC woman member from Serêkaniyê who resides in the Ronahai neighbourhood, said that as a mother she feels a duty to defend her children and the society as a whole. Serêkaniyê HPC co-chair, Sûriya Mihemed, recalled that they have set up the HPC forces to defend the cities and the society. "Society should defend itself. We have not forgotten the example of Shengal, because at that time Shengal had no self-defense force and faced massacre. Every house, every institution should have a self-defense force. We train our communes, institutions and our people to protect themselves from all kinds of danger. There is a war in our country and we have to defend ourselves".